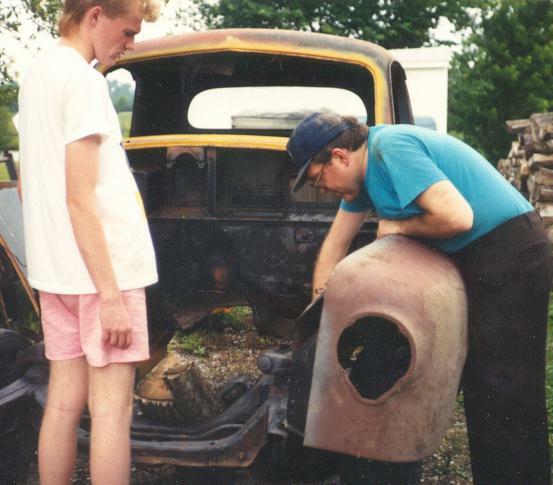 HERE IS DAD AND I WORKING ON MY STUDEBAKER TRUCK, IT WAS HIS, BUT THEN HE GOT THE 49 CHEVY TRUCK (BELOW) AND SO HE MADE ME A DEAL, IF I PAST THE 4TH GRADE, HE WOULD GIVE ME THE STUDEBAKER, WELL GUESS YOU KNOW BY NOW I PAST THE 4TH GRADE. DAD HAD SOME MORE PROJECTS HE HAD A 1957 CHEVY BEL-AIR HARD TOP, 1939 CHEVY 2 DR SEDAN, 1936 CHEVY COUPE AND THIS 1949 CHEVY TRUCK, IT HAD A INLINE SIX MOTOR. 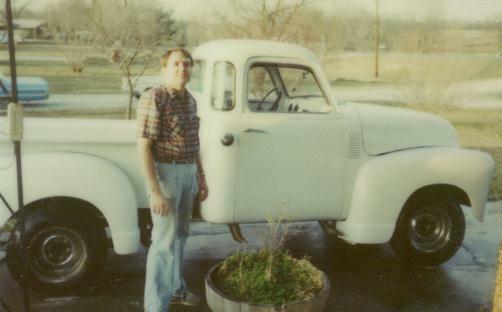 THE 49 WAS SOLD TO MAKE ROOM FOR DAD'S LAST PROJECT, 1967 CHEVY STEPSIDE TRUCK. THE 49 NOW IS JUST UP THE ROAD FROM ME, AND THE IN-LINE SIX IS GONE, THE 49 IS TEARING UP THE LOCAL DRAG STRIPS OF KENTUCKY NOW. AS FOR THE 36 CHEVY COUPE, IT HAS A NEW OWNER AND WILL BE UNDERGOING A CUSTOM STREET ROD LOOK SOON. THE REST OF THE VECHILES WHERE ARE THEY NOW ? 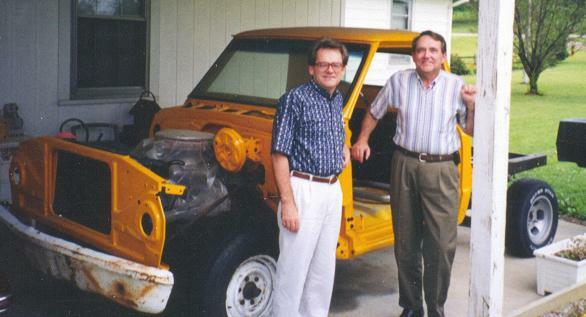 HERE IS UNCLE DON AND DAD NEXT TO THE 67 CHEVY TRUCK, TO FIND OUT MORE ABOUT THIS TRUCK CLICK ON THE PICTURE ABOVE TO GO TO THE PROJECT 67 PAGE. 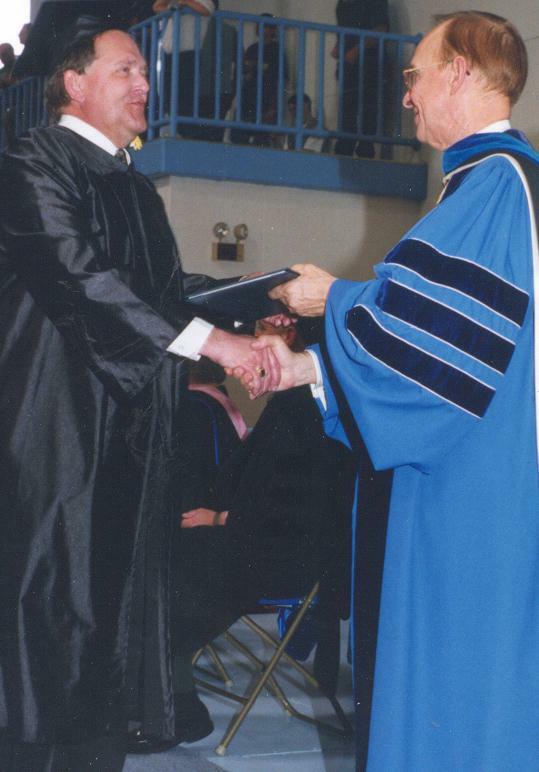 THEN IN MAY OF 1998 DAD GOT HIS B.S. DEGREE FROM OAKLAND CITY UNIVERSITY IN BUSINESS MANAGEMENT. WHEN HE GOT HIS DEGREE HE TOLD HIS BOSS, THAT ALL THE COMPANY HEADHUNTERS WERE LOOKING FOR HIM BECAUSE HE HAD EVERYTHING ALL THE BIG BUSINESSES ARE LOOKING FOR, FRESH OUT OF COLLEGE AND HAD OVER 20 YEARS WORK EXPERIENCE. 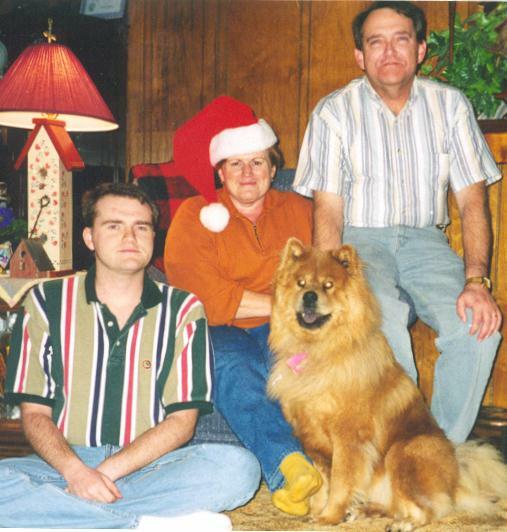 ARE FAMILY ME, MOM,MISS SHELBY, AND DAD, STILL ONE HAPPY FAMILY!